CPC Label Solution Pioneer has been Canada’s Leading Label Manufacturer for over 30 years, producing the finest quality of Electronic Labels in different types of materials and substrates. To ensure our labels meet all types of requirements, they are made with Chemical Resistant, Antistatic, and Flame Retardant Materials to last through even the highest temperature. 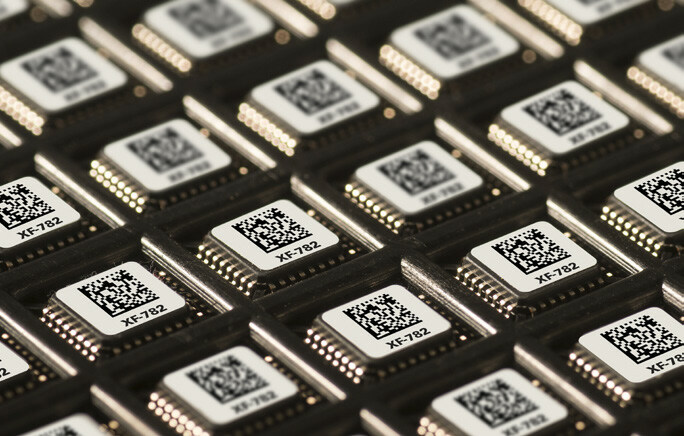 With our in-house capability of machining and tooling, we are able to manufacture highly customized Electronic Labels for all types of environments and applications. CPC manufactures durable and long lasting label materials that can withstand harsh conditions during PCB manufacturing. The material contains thermally stable polyimide films and aggressive pressure sensitive adhesives to resist harsh active fluxes, wave solder, and high temperature reflow. Due to these complex processes, we ensure the labels remain readable throughout. Manufacturers are often concerned with whether any part of their products will catch or spread a fire. It is common a short circuit can overheat, and eventually combust. Our labels have a built-in technology that will prevent the material from acting as a fuel. These label materials can withstand high temperatures during the multi-cycle PCB manufacturing processes. 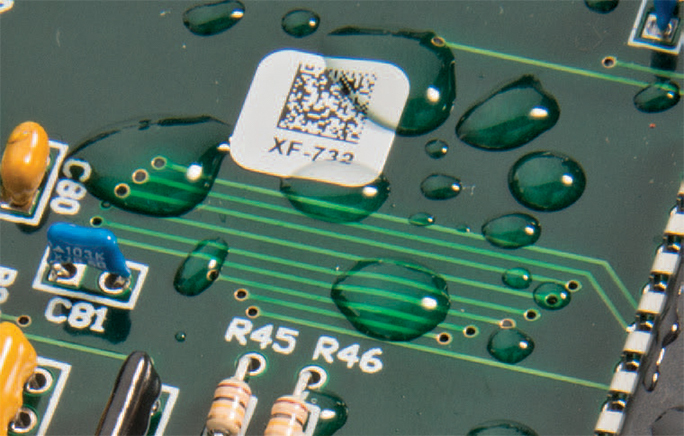 Especially with today’s advanced reflow and wave solder methods, the labels are conditioned to remain stable throughout. Some applications include electronic component tracking and warranty labeling. CPC label materials are made with a coating that will prevent the labels from getting yellow or soften during PCB manufacturing. Regardless of how concentrated the cleaning chemicals are, the labels will remain in high contrast compared to our competitors. 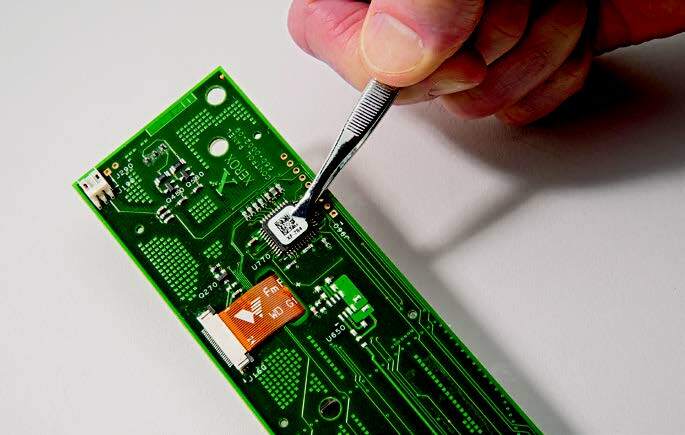 This will help manufacturers control their PCB inventory, as the labels will remain in good condition starting from production, to customers’ hands. CPC’s polyimide and polyester (PET) label materials are made to ensure safety when they are in close proximity of ESDS devices. Static charges may be released, causing serious unexpected damages. There are strict surface resistance specifications built within to prevent static and to protect sensitive devices from electrostatic charges. Some antistatic design features include static dissipative top coat and low charging PSAs and liners.